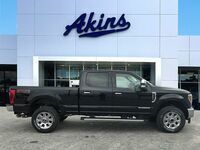 The 2019 Ford F-250 Super Duty lineup has made its way to our Akins Ford lot near Atlanta, GA, ahead of most of the other 2019 heavy-duty trucks from other automotive companies and brands – and it’s not hard to see why Ford wanted to get the jump on the competition for the new model year. 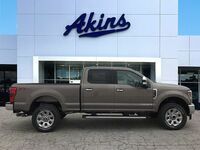 That’s because the 2019 Ford F-250 Super Duty lineup features all the best-in-class power and capability you’ll need to complete whatever task you need completing, therefore making all other heavy-duty pickup trucks obsolete – a point we’re going to make right here with this 2019 Ford F-250 Super Duty versus 2018 Nissan Titan XD head-to-head heavy-duty truck comparison. 385 HP & 430 lb-ft. Regular Gas Horsepower and Torque 390 HP & 394 lb-ft.
450 HP & 935 lb-ft. Diesel Horsepower and Torque 310 HP & 555 lb-ft.
21000 lbs. Max Towing Rating (Conventional) 12280 lbs. 7640 lbs. Max Payload Rating 2918 lbs. 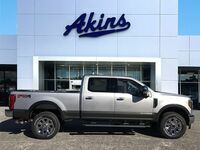 As you can see in our 2019 F-250 Super Duty lineup versus 2018 Titan XD lineup comparison table above, there’s only one area where the 2018 Nissan Titan XD lineup is able to eke out an advantage over the 2019 Ford F-250 Super Duty lineup. And that advantage – a mere five additional horsepower from the regular gas engine option – does nothing to help the 2018 Titan XD lineup in other important areas. 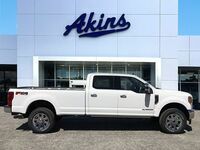 That’s because, other than that regular gas engine horsepower rating, the 2019 F-250 Super Duty lineup offers best-in-class regular gas engine torque, best-in-class diesel gas engine horsepower, and best-in-class diesel engine torque. Those power ratings then help the 2019 F-250 Super Duty lineup feature best-in-class towing ratings and a best-in-class payload rating – ratings the 2018 Nissan Titan XD lineup can’t even come close to matching, as you can see in the table. 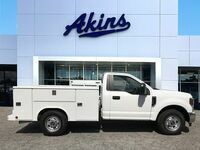 If you’d like to learn more about everything the 2019 Ford F-250 Super Duty lineup can do for you, please reach out to our staff here at Akins Ford near Atlanta, GA.